I hope everyone’s having a great holiday season! I’m checking back in (with a New Year’s resolution to update regularly come the…you’ve guessed it…new year) since I’m super excited to be live-blogging tonight from Saks Fifth Avenue in Beverly Hills. St. Vincent’s famous food truck, Cart for a Cause, has launched a cookbook featuring 40 of Los Angeles’ acclaimed chefs. Four of them – Mark Gold (Eva Restaurant), Alex Becker (NOBU Los Angeles), Bebe Flynn (Miss Lilly’s Trading Company) and Michael Fiorelli (mar’sel at Terranea) – will be on-hand at the VIP reception at 5 PM today. For $25, you’ll get bites straight from the cookbook and get to take home your own signed copy (call 213.484.7128 to RSVP). You’ll be taking home some delicious recipes while knowing that 100% of the proceeds from your cookbook purchase benefits Meals on Wheels. A chance to enter and win a PENHALIGONâ€™S fragrance gift basket, valued at $385. Also, don’t forget to visit me in the Blogger’s Hub! I’ll be live-blogging and tweeting the event. And, if you decide to do some holiday shopping (for others or yourself, natch), you’ll feel great that during the hours of 6 – 8 PM tonight, 5% will benefit Miss Lilly’s Trading Company, which goes towards feeding pets belonging to homebound seniors, while 5% more will go towards St. Vincent Meals on Wheels, which help feed the seniors themselves. Tonight: Movember Benefit at The Spare Room With Warpaint & OK Go! Well, N Movember is here. Growing a moustache? 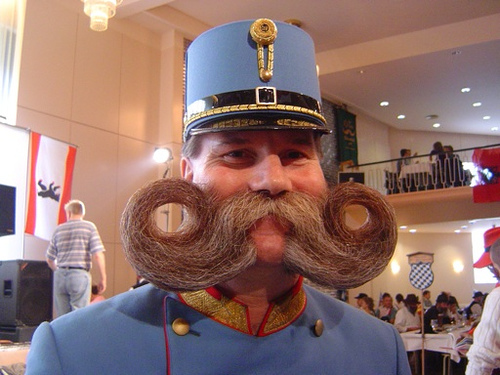 Watching other people grow moustaches? You might as well do it for a cause, a cocktail (or two, or…) and live tunes – and you can do that tonight at The Spare Room inside The Roosevelt Hotel in Hollywood. Your tongue will feast on a special Mo-cocktail, your ears on a performance by Los Angeles girl bandÂ Warpaint and a DJ set by OK Go!‘s Tim Nordwind. Actress and Mo-sistaÂ Malin Akerman is set to host. Proceeds from sales of the Mo-cocktail and pictures from the state-of-the-art, retro photo booth will go towards Movember and prostate cancer research. You might as well bowl a few strikes…and spares…while you’re at it (lanes and designer bowling shoe rentalsÂ available at $100 per hour, up to 6 people) – just be sure to reserve your hour or two. I’ll see you at The Spare Room with your handlebars! Every year, there are more and more food events to choose from, making it hard to know exactly which one to support. 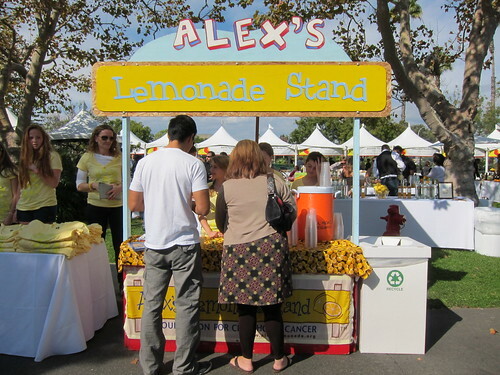 LA Loves Alex’s Lemonade, however, is pretty much la crÃ¨me de la crÃ¨me when it comes to the quality of participants – at least from my inaugural experience last year. This year, it looks like the case will be the same. Let’s take a look and see why. Participants from LA include Michael Cimarusti (Providence), Vinny Dotolo & Jon Shook (Animal), Neal Fraser (Grace), Suzanne Goin (Lucques, A.O.C., Tavern), Matt Molina (Osteria Mozza), Zoe Nathan (Huckelberry), Steve Samson & Zach Pollack (Sotto), Eric Alperin (The Varnish) and Jonathan Graham (Compartes). And if those weren’t all enough reasons, there will also be stellar showings from other parts, such as April Bloomfield (The Spotted Pig – NY), Neal Bodenheimer (CURE – New Orleans), Brian Huston & Paul Kahan (The Publican – Chicago), Johnathan Sundstrom (Lark – Seattle), Jonathan Waxman (Barbuto – NY) andÂ Lachlan Patterson (Frasca Food and Wine – Boulder, CO). As far as tickets, they’re not a drop in the bucket, but they’re mostly tax-deductible. But there’s no better way to enjoy endlessÂ hand-crafted cocktails from top mixologists and dishes from your favorite chefsÂ with the Gone With The Wind mansion as your backdrop. Meanwhile, you pay your taxes forwardÂ and further research on childhood cancer. Yay!Â While the regular general ticket price is normally $175, Thrillist LA is offeringÂ VIP tickets (normally $400) forÂ $225 ($100 is tax-deductible). Given that you get a whole extra hour and admission into the VIP area as well as the pre-event mixology session, this ticket is your best bet. See you in Culver City next weekend! Tasting events come and go, but Plate By Plate is one of those events that I’ve made sure to frequent every year. 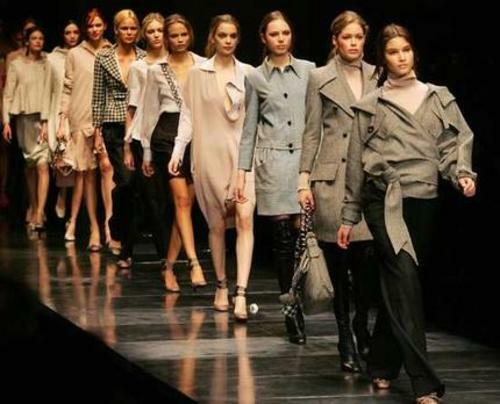 The proceeds of Project By Project’s annual benefit go towards a particular partner chosen for that year like this event’s Asian Youth Center. It also doesn’t hurt that the selection of participants is top-notch in comparison to many other events that I’ve attended over time. Its focus on benefiting Asian non-profits flavor the event with entertainment such as modern dance and singing performances. Club beats pulse between the performances, perforating every bite. 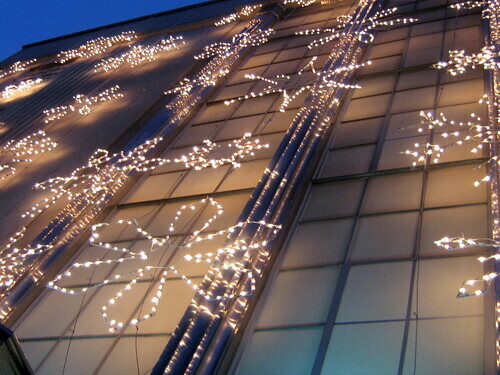 The Vibiana, with its high ceilings, is concurrently flooded with pink and white lights. And wherever Plate By Plate is, it’s always the site of the most successfully-executed-yet-unspoken dress code of the year. The chefs are the ones most expected to wear jeans, here. The good news is that they all seem really amped to be at Plate By Plate. The answer to that age-old (in blogosphere time, anyway) question of “Why Are There So Many Asian Food Bloggers?” – if one were to ask it – lies in this event. The vibe is positive and the camaraderie, despite the pounding soundtrack, is warm. And then there were many ofÂ my L.A. favorites – allÂ in one room. MyÂ profile on Laurent Quenioux at Vertical Bistro had just run in the Pasadena Sun (yay! I’m in print! 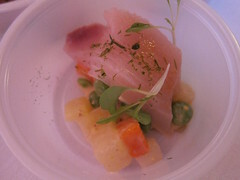 ), and he brought his delicious sweetbreads and hamachi to serve up to Plate By Plate participants. 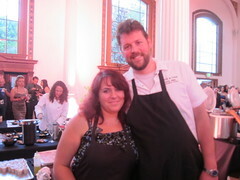 Gavin Mills, who helms my neighborhood favorite, Wood & Vine, was there to present a wonderful charcuterie spread. I’d be hard-pressed to name one other Hollywood eatery which makes their own pates and rillettes in-house, and Wood & Vine’s are really good. Picca Peru was on-hand to serve their ultra comforting Chicken Cau Cau. 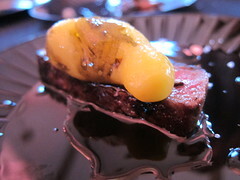 The Royce of Pasadena’s The Langham Hotel, under David Feau, platedÂ pieces of Wagyu “Au Poivre” with a baby pearl onion. It’s pretty hard to argue with wagyu, but there was a certain elegant savoryness to this particular version. The surprise of the night was The Gorbals’ Beef Tongue with Romesco. It was certainly the most tender – despite beingÂ thick -Â slice of tongue I’ve had. While I’m not a squeamish or picky eater, I can’t say that tongue has ever been a favorite “cut” of mine. But I was pretty shocked at how much I enjoyed this rendition. The delicious romesco sauce, of course, was no detail – so bravo. Of course, the beautifulÂ Bricia Lopez was in attendance to represent La Guelaguetza. They served up their famous Tamales OaxaqueÃ±os with chicken and mole. It’s always a festive time at Plate By Plate. The food and drink (complete this year with a mixology demo by Julian Cox) are always prime and the company in full garbÂ is always colorful. 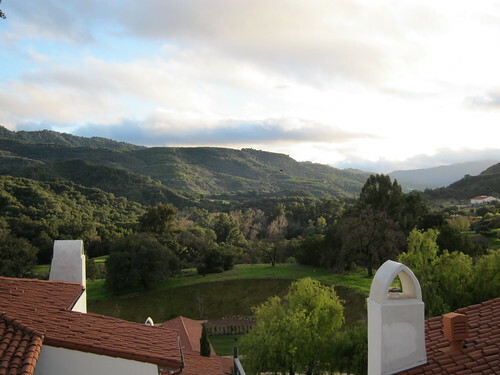 If you are keen on taking a break between bites and sips, there are also really impressive silent auction items with low starting bids on the block. It’s pretty much the sleeper event of the year. Next week, Umamimart, Yamazaki Whiskey, Eveleigh and a host of other sponsors will be holding a cocktail benefit at PRISM in West Hollywood to benefit Second Harvest of Japan – Japan’s first food bank providing direct relief to the survivors of the recent disasters. Proceeds will go towards soup kitchens and food banks to assist the 220,000 people currently in emergency housing as they transition into long-term housing and children gear up for the new school year. 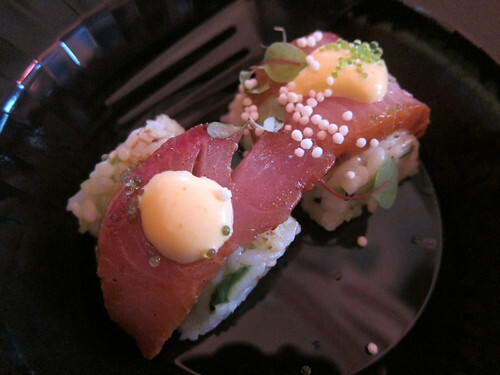 Getting involved with Japan relief is none easier than purchasing a $50 advance ticket ($75 at the door) to the cocktail benefit, which will kick off at 6 PM next Tuesday with Yamazaki highballs, Eveleigh appetizers and Fruit & Flour desserts. Exclusive limited edition posters and T-shirts by Clare Rojas will be available for sale, with proceeds also going toward Second Harvest. You’ll get great views of Sunset Strip from atop the roof of PRISM. At 9 PM, you’ll move into neighboring Eveleigh’s own, lovely back patio for a reception with hosted cocktails by SKYY, Partida Tequila and Combier. Starting at 10 PM, the cash bar will open and all proceeds will also go toward Second Harvest. What a great way to help Japan out by giving to a Tokyo-based organization – with Yamazaki Whiskey and Eveleigh appetizers, to boot. San Francisco’s inaugural event raised over $10,000 and the goal for next Tuesday is $20,000. Be sure to get your tickets (receipts are issued immediately via email). I’ll see you there. We all know about the tragedy that continues to unfold in Japan. As Japan endures aftershocks and the rest of the world does everything in her power – but seemingly never enough – to help the Land of the Rising Sun, we can see that at least some of our going-out dollars go towards relief. Fortunately, two of my favorite sources of wine and beer in town have kicked off benefits where 50% or even 100% of proceeds from sales will go to Japan. All three wines will be distinguished on Cubeâ€™s wines by the glass (vini al bicchieri) list with a â€˜+â€™. UPDATE: Cube has just added 2 pastas to the Red Cross – Japan benefit menu: Maltagliati with Oxtail Ragu and Red Cow Parmesan, Gnocchi with Lamb Sausage Bolognese and Red Cow Parmasan. They both are dressed in red sauces in keeping with their “RED for RED” Japan relief theme. So enjoy either (or both?) of these delicious pastas and wash it down with a RED for RED wine while knowing those dollars will help with disaster relief. 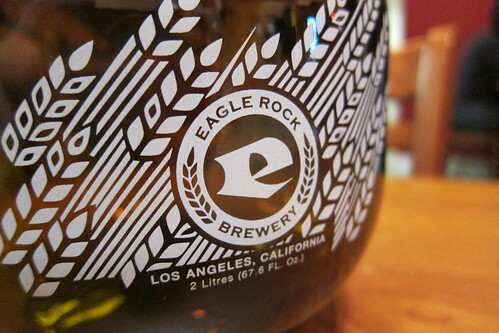 Raise a pint of Solidarity for Japan in Eagle Rock Brewery’s own taproom.Â They’ll be donating 50% of proceeds from every pint of the dark mild ale sold to UNICEF’s efforts to help the children in Japan who have been impacted by the catastrophic earthquake and tsunami. So get out there and make every liquidÂ dollar count towards Japan earthquake and tsunami relief. You might as well support local biz and enjoy some solid wines and beers while you’re at it. 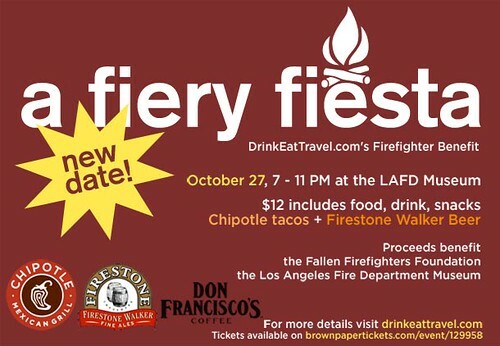 What better way to support community than attend an event which benefits the Los Angeles Fire Department?Â Fortunately, the lovely folks over at DrinkEatTravel.com will be holding a fun event this Wednesday at the LA Fire Department Museum – and it so happens that it’s nearby the station which services my jurisdiction. Chipotle tacos will be served as will brews from Firestone Walker. 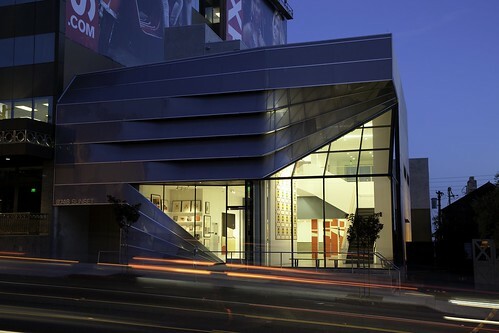 Proceeds from your $12 admission benefit the Fallen Firefighters Foundation and the Los Angeles Fire Department Museum. The evening will also include a raffle with prizes from Luxor Hotel and Casino, Renaissance Hollywood Hotel, Hugoâ€™s Restaurant, Improv Hollywood and more. Guests will also enjoy an after-dinner cup oâ€™ joe from Don Francisco, a chocolate tasting from The Chocolate Traveler, snacks from Popchips. DJ JJAquino will be spinning the tunes. Contest is closed tomorrow at 5 PM, which is when I will select the winner and tweet as well as email him/her! Be sure to check your email. Not so confident in your luck? You can buy tickets, too, and get $2 off with code SPICY. Either way – I’ll see you there!